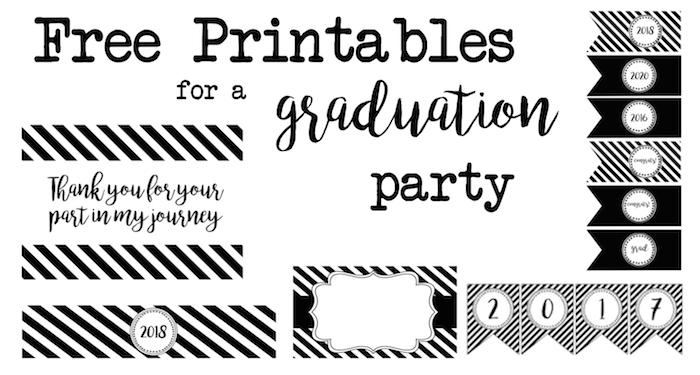 There is something about these graduation cupcake toppers that I just love! 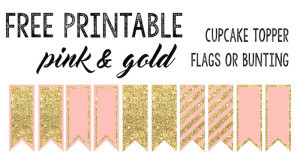 They are similar to these pink and gold cupcake toppers that just so happen to be my most popular printable to date. 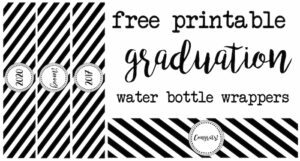 You might also be interested in our graduation banner free printable and graduation water bottle wrappers free printable that coordinate with the graduation cupcake toppers. I just love how fun the cupcake toppers are and how easy and cheap they would be to assemble. 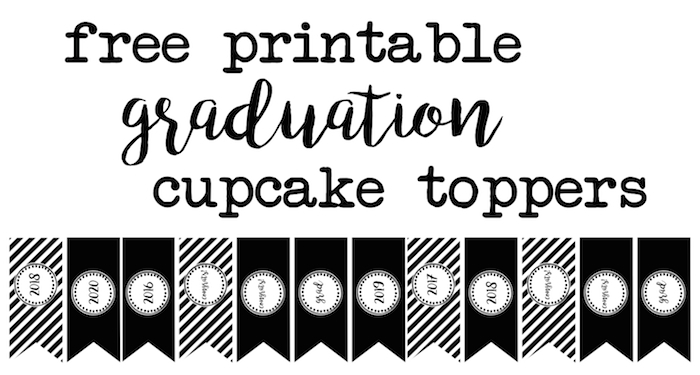 To print the graduation cupcake toppers you don’t even need color ink. And you can purchase these awesome flat toothpicks on amazon which also happen to be a (virtually) lifetime supply for not much money. I often get asked what paper I recommend. I really like this card stock paper on amazon. It is much cheaper than I have found in stores and has a good thickness for these projects without being so thick that it jams the printer. I scoured amazon looking for cute baking cups that would coordinate with these toppers. All of the graduation themed baking cups just look dorky. I looked at some black and white patterned cups and they just looked too busy. I think these plain black baking cups on amazon will look classic without distracting from the cupcake toppers. The best part is that they are some of the most affordable baking cups. They are an add-on item so you have to buy something else with them to be able to buy them. That usually isn’t hard to do. Try the toothpicks below for example. These flat toothpicks come in a box 2500 on amazon for not much money. Think of how many cupcakes you could decorate! You could also use them to barter during the apocalypse when people have all run out of toothpicks and desperately want to engineer a bridge made of marshmallows and toothpicks. This page may contain affiliate links. When you click them you support Paper Trail Design. Thank you! 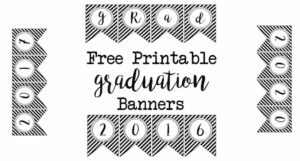 Get more graduation party free printables here! 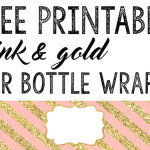 Pin this Post to Pinterest using the “Pin it” button below! Hi there. I love these. 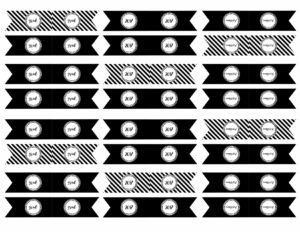 Do you have these for 2021? My daughter is promoting and I would love these. Thank you! Hi Amanda. I just added 2021 and 2022. These are beautiful! 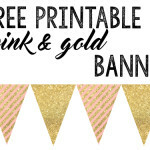 Is there anyway to print them in a different color? I would like to match our school colors.